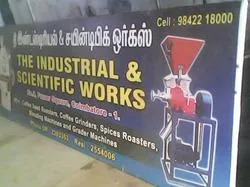 Established in the year 1930, "Industrial & Scientific Works Research Institute", has been engaged in manufacturing and exporting of Roasting, Grinding and Blending Machine. We are an organization which makes us a preferred choice of our clients over our counterparts. Being recognized for durability, high efficiency, and shock proof, these are able to cater to food processing products. Backed by a sprawling infrastructure of 4800 square feet, we have been able to maintain a swift rate of production of producing 100 equipment per annum. These machines under go through several tests so as to deliver high end machines at the clients’ end. Our range of machines is served across India, Sri Lanka, Singapore, Dubai, Musket, Sudan and U.K. Some of our esteemed clients are M/s Godrej, M/s Hudson Agro Products and M/s Rani Foods. Under the able guidance of Late "Shri G.V. Venkata Rathnam", our founder and G.V. Mohan, our director, we have been able to improve drastically. Our team has been able to garner a loyal client base. Manufacturing, Trading, Importer and Exporter of Grinding and Roasting Machine. We have a huge infrastructure which includes production facilities; backed by a design unit. 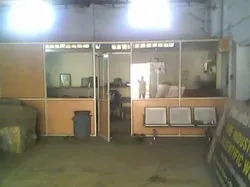 It is managed by a team of diligent personnel, who work in close co-ordination to attain utmost customer satisfaction. Leveraging on our established quality parameters, we have acquired a large clientèle base in various parts of the world. We also have strong market distribution network, which assists us in the timely delivery of consignments. With our Dedication to offer worlds best tea/coffee making machine, we endeavour to enhance the satisfaction level of our customers and ease their efforts by providing modernized and cost effective technology. The company adopts stringent quality control procedures during each stage of product manufacturing. Right from the sourcing of raw materials till the dispatch of the consignments, quality is ensured at all levels by our quality analysts. All the raw materials used are according to ISO standards. Our quality control team is stationed at our manufacturing units in order to ensure that all the manufactured products are flawless and free from any defect. All the above mentioned parameters ensure that our products are class apart from competitors. Manufactured from quality assured mild steel, stainless steel, L-angles, rounds, sheets, the range of our reliable roasting and grinding machines assists us in fulfilling the needs of various food processing industries. 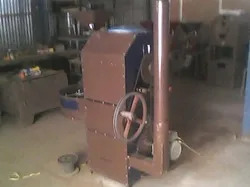 The wide domain of our quality products consists of Coffee Seed Roasting Machines, Coffee Grinder, Blending Machine, Multi Type Roaster, Spice Roaster, Spice Roaster 250 to 500 kg. 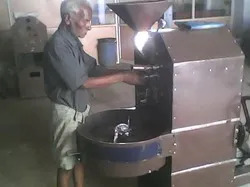 We also manufacture coffee seed grading machine and coffee powder & chicory powder blending machine. At Industrial and Scientific Works, we have developed a diligent workforce that strives to achieve company’s aim of outperforming the clients’ expectations. It includes various professionals that are strategically categorized into different teams. This catalogue allows us to smoothly process and accomplish the orders received. Our team works in accordance with all the departments like production, administration and sales and marketing in order to increase the annual turnover. All these personnel possess the required experience and expertise in developing various food processing machines. We also conduct training programs at regular intervals to keep our designers updated about the latest technology. With its quality products, the company has acquired a large base of clients. They are spread in Indian and across international territories including Srilanka, Singapore, Dubai, Musket, Sudan and U.K. The trust and goodwill of our clients enable us to maximize the return on our business relationships. We not only focus on client acquisition but also on client retention, which we achieve by satisfying our clients. There are numerous factors which have contributed towards our tremendous success and gaining competitive advantage. These factors collectively make us the first choice of our clients for finest quality products.